On November 28 2006, Jump peaked at #20 on the Austrian Ultratop 40 singles chart. The song was the fourth international single from Confessions On A Dance Floor. 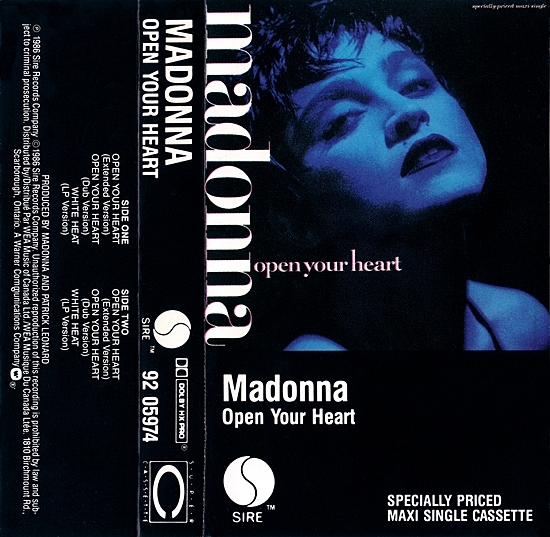 The maxi-single featured remixes by Stuart Price (under the pseudonym Jacques Lu Cont), Axwell and Junior Sanchez; an Extended Album Version and Radio Edit (the US vinyl edition also added the “unmixed” Album Version); and a previously unreleased b-side, History, written and produced by Madonna & Stuart Price. 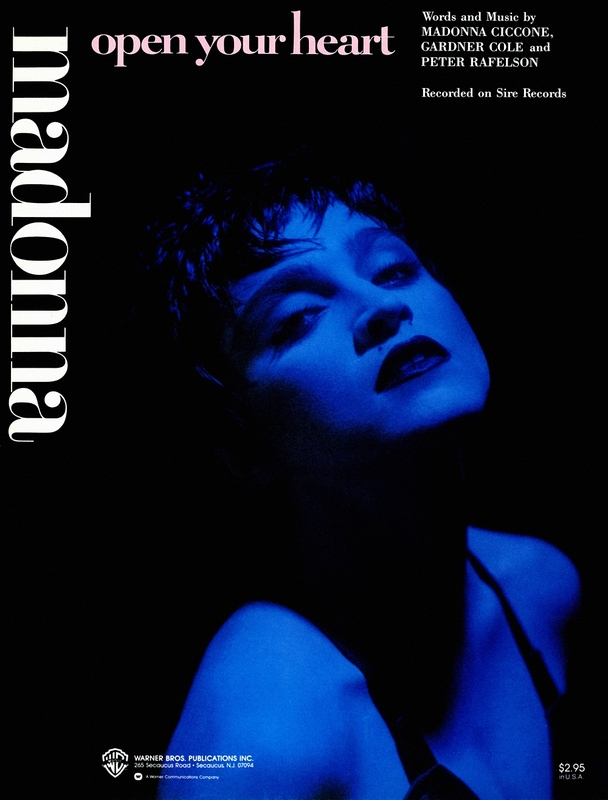 Recorded during the Confessions On A Dance Floor sessions, the released version of History was in actuality an uncredited Stuart Price remix of the otherwise shelved original production. 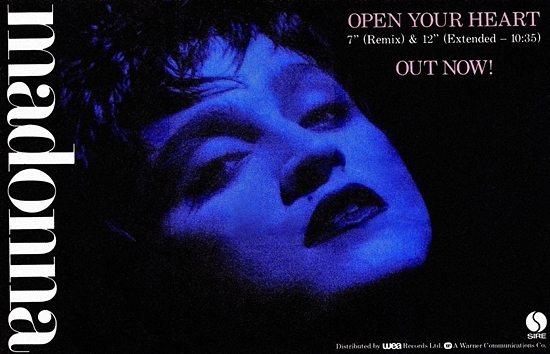 An alternate version of the Price remix streamed on Madonna’s official website for a brief period but has yet to surface in quality above streaming grade. More of the song’s history came to light when an incomplete clip of the final non-remixed version, as well as several complete demo takes (featuring nixed chorus lyric “I thought that we were related” instead of “Defined by our greed and hatred”), leaked online in 2007 and 2008 respectively. While the remix of History is a sparse and stripped-down slice of electro-house that recalls some of Stuart Price’s earlier solo work as Les Rythmes Digitales, the pulsating urgency of the original production with its heedfully hopeful bridge make it the more definitive rendering of the song. On September 27 1994, Secret was released as the lead single from Bedtime Stories. 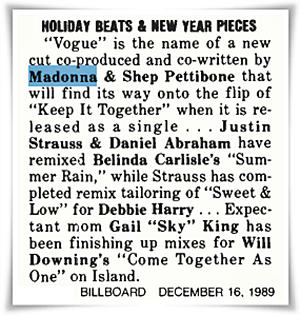 Initially credited to Madonna & Dallas Austin upon its release, Shep Pettibone was later given a co-writing credit due to his involvement in the creation of an early demo version of the track entitled Something Coming Over Me. The demo – which has been described by the few who have heard it as having a club anthem vibe without the R&B overtones of the Austin version – was submitted by Pettibone to the Library Of Congress for copyright registration but has yet to leak. 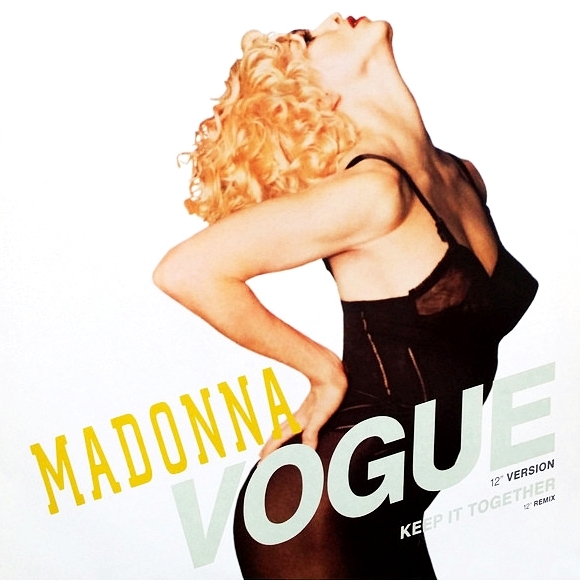 The released version was produced by Madonna & Dallas Austin, and is the only song on the album to feature Austin’s untouched production work. Austin’s other contributions to the album were either reworked with new production (Survival) or remixed (Sanctuary) by Nellee Hooper or Daniel Abraham (Don’t Stop)‏. 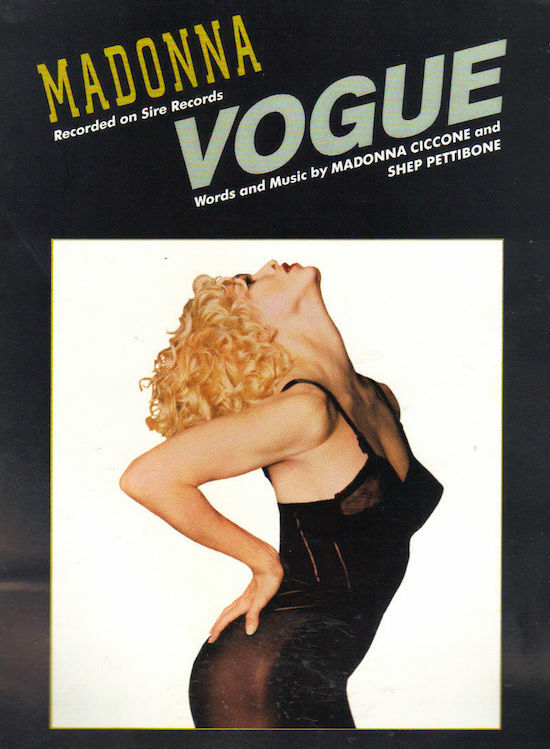 While the North American single used only the instrumental version of Secret on its flip-side, many other markets, including European territories, were treated to an unreleased outtake from the Bedtime Stories sessions. Perhaps fearing that the distinctly American R&B influence of Secret may have had limited appeal in Europe, Warner made the strategic decision to include an added incentive for European fans to pick up the single – undoubtedly spurring an increase in the number of copies exported to North America in the process. 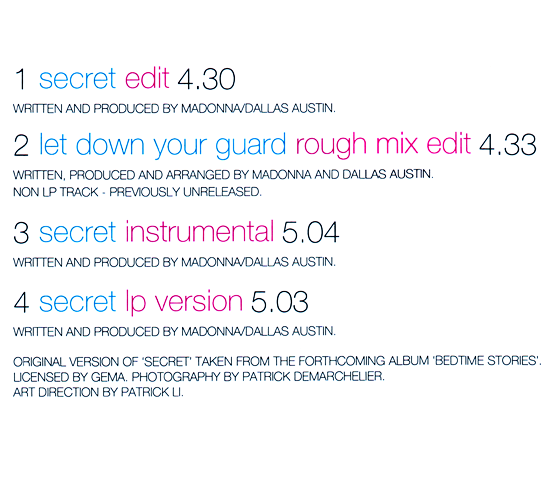 Although non-album b-sides are a relatively rare occurrence in Madonna’s catalogue given the large number of singles she has released through the years, Let Down Your Guard (written and produced by Madonna & Dallas Austin) is particularly peculiar due to its labeling as a “Rough Mix Edit.” This disclaimer-like appendage seemingly suggests that either Madonna or her record label deemed it necessary to explicitly caution listeners that the song was not indicative of the more polished production work that would be featured on the Bedtime Stories album proper. Indeed, the idiosyncratic nuances of Austin’s production (with its tip-of-the-hat to early Prince material) is largely what makes Let Down Your Guard such an unguarded and enjoyable obscurity – rendering its disclaimer redundant.